HFOY has bought essential equipment for the Yatma clinic. 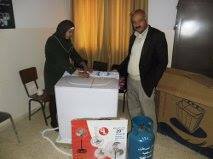 We have been able to supply sterilising equipment; blood pressure, diabetes and blood testing apparatus, and a washing machine . The doctor only makes fortnightly visits and much of the running of the clinic is done by the nurse Mureena – in the photo she is unpacking the delivery with deputy Mayor Mohammed Snober. In a surprising policy the UK funds the Norwegian Refugee Council, which has a programme to help Palestinians whose homes have been illegally demolished by the Israeli government. Surprising because the UK maintains positive diplomatic relations with Israel, and trade relations amounting to billions of pounds each year. The UK maintains these positive relations while ‘utterly condemning’ the illegal demolitions. Decades of similar policies make it clear that the UK maintains its commercial relationship with Israel at all costs, and that its criticism of Israel’s human rights policies are for appeasement of a public unhappy with Israeli policies. The UK government has never been willing to go beyond condemnations to stop the Israeli government from its policies. In fact, money paid to the Norwegian Refugee Council can be seen to be a subsidy to the occupation, since it absolves the government of Israel of financial responsiblity for the problems it creates by house demolition. 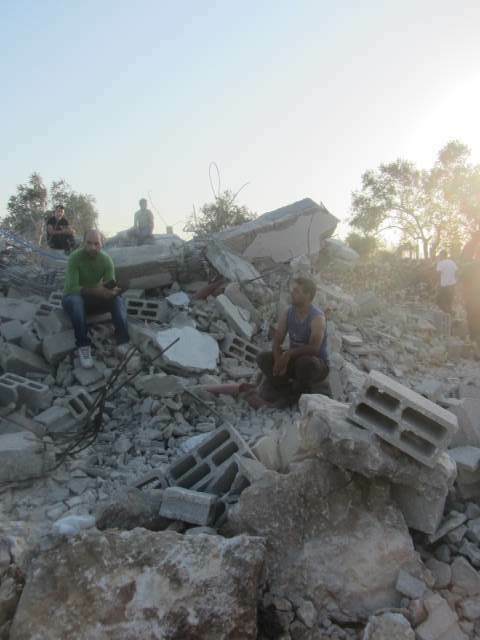 Up to twenty homes in Yatma are subject to demolition orders by the Israeli Occupation Forces. 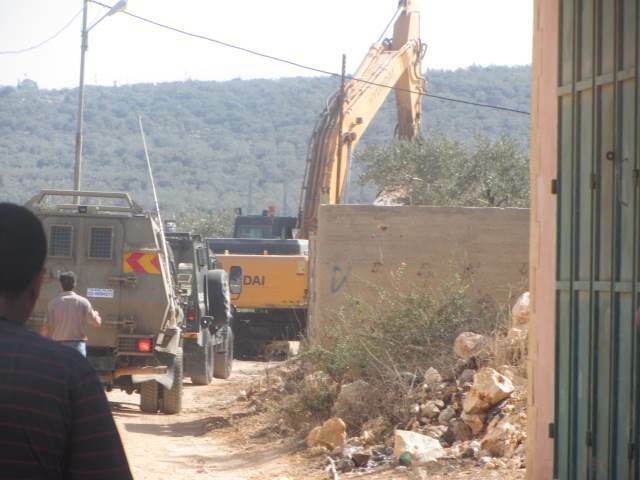 The Occupation delivers demolition orders when Palestinians build houses in areas the Israelis consider reserved for military purposes (Israelis can illegally build on Palestinian land in the military zones usually without problems from the military). Yatma is completely surrounded by ‘Zone C’ military reserve. There are no alternatives to building on the military reserve land, and Israeli permission to build is normally not forthcoming. Appeal processes exist but are stacked against the Palestinian homeowner. Once appeals are exhausted houses can be demolished at any moment subject to the whim of the military command. Most houses under demolition orders in Yatma are in this situation. Keep up the letters to MP Amber Rudd, asking her to take up the cause of Palestinians. Point out that we shouldn’t be subsidising house demolition. Demand that Britain put human rights considerations ahead of commercial interests. Today, the day of the memorial service for Nelson Mandela, is also Human Rights Day. It is worth remembering that the residents of Yatma, Palestine, do not have many of the human rights that most of us in Britain take for granted. The Universal Declaration of Human Rights is a basic document accepted around the world. Yet on any scale, Palestinians living in Yatma and other parts of the West Bank do not have many of the human rights listed. 1. The right to a nationality. Denied their own nation and living under occupation, Palestinians in the West Bank have no passports, no accepted nationhood, despite living in the same spot for hundreds of years. The Palestinian Authority cannot issue passports, and Israel does not recognise them as citizens. 2. The right to travel freely. Without a passport, Palestinians depend on Israeli Occupation Forces for travel documentation. They constantly fear that if they leave the West Bank they might not be able to return. Within the West Bank movement by Palestinians is sharply curtailed. Without proper documents they can’t visit Jewish parts of Israel/Palestine. Israeli-only roads, Israeli-only transportation systems, Israeli-only settlements, disrupt movement by Arab Palestinians. Security checkpoints abound, and can be thrown up instantly, especially in times of tension. 3. Freedom from discrimination. Many laws, regulations and practises in Israel/Palestine discriminate between Jewish residents and residents of Arab or other descent. 4. Freedom from unequal treatment before the law. Governed by an administration that views Israel as a ‘Jewish state’, the people of Yatma are governed by laws, regulations, and interpretations that apply differently to them than to the Jewish residents of the West Bank. Arab children arrested by occupation forces are treated differently than Jewish Israeli children who are arrested. 5. Freedom from arbitrary interference. The people of Yatma are subject to night raids by the Occupation Forces. When they are attacked by settlers they are offered little protection by occupation forces, and no redress. Palestinian security forces have no jurisdiction to enforce laws against settlers. 6. The right to take part in government through freely chosen representatives. The people of Yatma are represented in the ‘Palestinian National Authority’. But most of the important aspects of their lives are directly or indirectly controlled by Israeli Occupation Forces, which are directly controlled by the Government of Israel, a body in which they have no representation whatsoever. 7. The right to an adequate standard of living. The people of Yatma are desperately poor. Some of their lands and water sources have been seized by Israeli settlers. 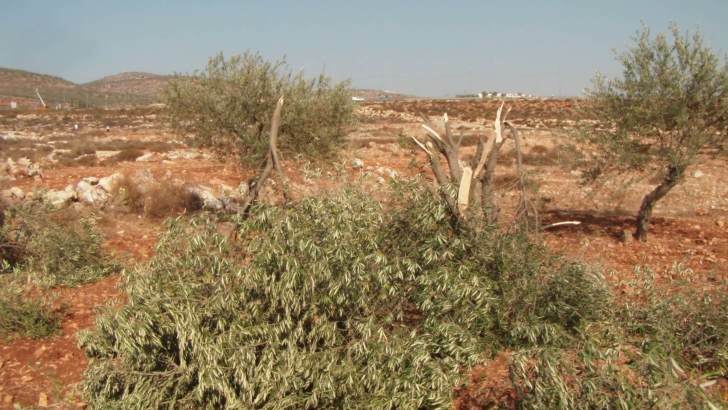 Some of their olive trees have been destroyed. All West Bank residents suffer from Israeli curtailment of economic activity and the difficulty of attracting investment in an occupied zone. West Bank Arabs are excluded from social welfare programmes available to other subjects of the body that governs them. This is only a partial list of human rights deficiencies in the West Bank. We owe it to ourselves, the people of Yatma, and the all the people of Israel/Palestine that we work together to ensure that these deficiencies are redressed as soon as possible.